Hi friends! I was cleaning out my drawers recently and found this. I thought it would bring encouragement and show you just how amazing our God truly is! About 2 1/2 years ago my husband and I were going through a tough time financially. He had been laid off of work for almost a year and i was expecting our second child. It was a very difficult time but we were trusting in God to meet our needs and knew that He had a plan greater than we could comprehend. 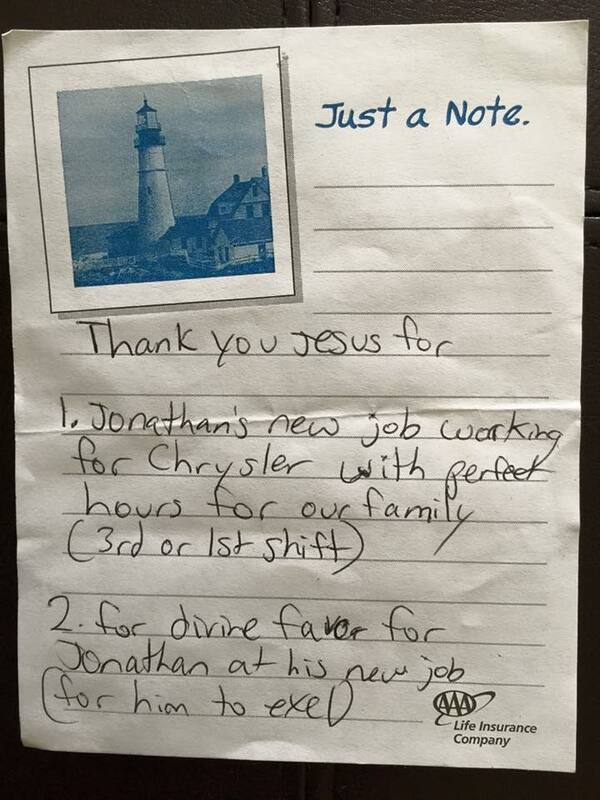 I felt the Lord during this time instruct me to write down what at the time was a dream job for my family. Habakkuk 2:2-3 (paraphrasing) tells us to write our vision out and when the appointed time comes It will not be delayed. I wrote it down, prayed and joined in prayer with people I knew I could trust to bind in prayer together with us. 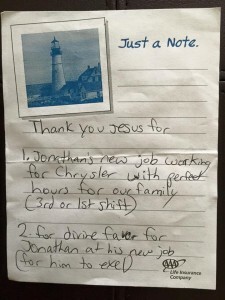 After writing this down my husband was contacted a few months later letting him know that he not only got the job but that it would also be the exact shift we had been wanting. A shift that would work for both our family and allow us to still do ministry. I just want to encourage someone today that there is Nothing God cannot do!!! Trust in Him and He will never leave you nor forsake you! !